Pro: Timeless Few forms of fencing hold up as well over time and trends as well as wrought iron. 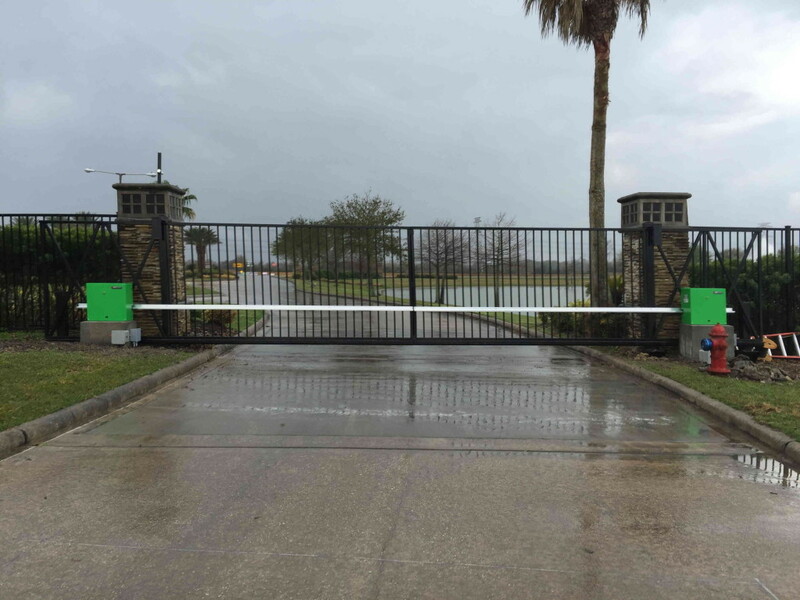 No matter the time, no matter what’s popular and what’s not, you’re never going to be far from the mark with a wrought iron fence around your property. That doesn’t mean you have to give up personality, either. You can get lots of character from the little things with wrought iron, more than enough to add a modern twist, without sacrificing the essentially classic, timeless design that’s been so popular for so very, very long. So if you’re not interested in chasing trends with new fences on a regular basis, but do want to be somewhat on-the-mark aesthetically, wrought iron is a great choice. Con: Lack of Privacy The vast majority of wrought iron fencing designs are going to be so-called open designed, which means you can see right through them. Now, some might find this to be a positive—if you want security, but don’t want to hide your house or garden away—but many will find the lack of privacy to be an overall downside. You can mitigate this problem with a number of clever solutions, ranging from special panels meant specifically to add privacy to wrought iron fences to clever use of bushes and other greenery, but it is something you’ll need to think about and account for if it matters to you. Pro: Durable Very, very few fences can offer the sheer indestructible durability of a proper wrought iron fence. Whatever you expect or don’t expect to come crashing into your fence, wrought iron’s probably up to the task of surviving the experience none the worse for wear. This makes wrought iron an extremely smart choice for any fence that’s going to potentially take a thrashing, such as one around large livestock or in areas with intense weather. It also means that as long as you keep up with your maintenance, it’s going to last for a very, long time. Con: Expensive Unfortunately, that durability we talked about means that wrought iron is comparatively expensive. It’s dense, it’s heavy, it’s more difficult to work with. It’s quite easy to see why it’s going to cost you significantly more to set up a new wrought iron fence than a comparable wooden, plastic, etc. fence. You don’t necessarily need to use true wrought iron to get the same aesthetic and much of the same benefits, of course, but it’s not necessarily going to be cheaper to go with another metal, depending on what material costs look like in your area. Do your homework. Pro: Versatile There aren’t too many buildings or applications where you can’t find a wrought iron design appropriate to the situation. This makes wrought iron a fairly versatile fencing option, compared to materials which might look out of place against the backdrop of certain architectural or landscaping styles. With the right company handling your fencing, your options for wrought iron designs are essentially limitless; some designs might sacrifice in one way or another to make everything look right, but the option’s there for you want to take it. Con: Needs maintenance Wrought iron is iron, usually, which means it’s susceptible to wear from the weather. To avoid ending up with a pitted, worn away fence, you’ll need to put in a little bit of maintenance from time to time to keep everything looking right. This isn’t much different from any other form of fencing, of course, but the results for long-term inattention can be more expensive with wrought-iron, due to the higher material costs, relative difficulty of swapping out damaged sections, and sheer destructive power of rust. Keep your fence clean, coated, and fix little problems as soon as they appear, however, and none of this will be a big deal. Pro: Security Near indestructible, easily designed to have built-in deterrence to climbing, what’s not to love about wrought iron fencing from a security standpoint? No wooden fence can possibly offer a comparable level of sturdiness, nor as easily dissuade people from scaling the top. Of course, that second benefit means committing to an aggressive profile for your fence, but that has a timeless charm of its own—many, many, many classic fences feature exactly the same points and prods that you’d want on a modern fence for security purposes, for the exact same reason. Con: Labor intensive installation Wrought iron is heavy, takes a lot more work to attach properly, and demands proper anchoring to not simply fall over in certain soils, the list goes on. That means you’re either going to be working on it a long time, or you’re going to pay a premium for the installation. It’s one of the few unmitigated downsides of working with wrought iron for your fence. It’s the same problems you see with any of the other ‘durable, long-lasting, classic housing materials’ out there, like tile roofs. Pro: Pest-proof If you’ve had troubles with pests ruining fences in the past, good news: barring strange mutations or alien invasions, nothing’s going to be chewing up a wrought-iron fence. With the right design, they can actually keep many annoying animals away from your home completely, though there’s probably no fence so amazing a truly determined animal can’t figure out a way past. So if pests pester you, wrought iron’s a great choice. Final thoughts Hopefully, this all adds up to make your decision an easy one. Wrought iron might not be for you—but if it is, you’ll be very glad you chose it.